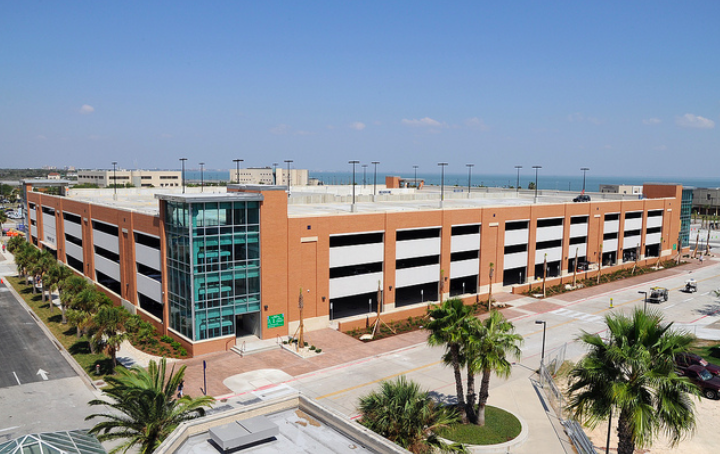 A new app will soon be tested on campus that could change how students find parking, a move which University Police Department Parking/Traffic Control Supervisor Roy Dilks says will hopefully alleviate some stresses on the Bayside Parking Garage. It’s called ParkMobile, and according to its website, its goal is to “make parking easier.” With the app, students will have the option of parking in designated spaces by the hour, similar to a meter but instead of returning to the spot to pay for extra time, students can just pay through the app if they need the space for longer. According to the ParkMobile website, several universities have already utilized the app, including Texas A&M University – College Station and the University of Texas at Austin. Dilks also said that part of the aim will be to ease issues with the Bayside Parking Garage. The hope is that it would open up more spaces for students as visitors would have the additional option of parking in ParkMobile spaces. After following a trial period, those spaces may eventually include those found in the garage, a transition Dilks said would hopefully help improve the flow of traffic into and out of the garage as the arms blocking the entrance and exit would no longer be necessary. Students will still have the option to opt out of the app and purchase parking permits for the semester instead. A trial period for the ParkMobile app is slated to begin this current spring semester. Stay tuned for more on this in our next print issue of the Island Waves.